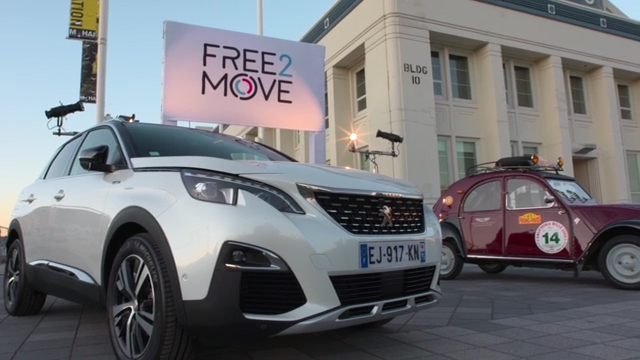 Groupe PSA Chooses Seattle To Launch Free2Move Mobility Brand in the U.S.
Seattle, 3 October 2017 — Today in Seattle, Groupe PSA has taken its latest step in the North American market with the launch of Free2Move, a smartphone-based mobility aggregation platform positioned to meet changing customer demands. With the app’, Free2Move allows users in Seattle to compare the location, characteristics and operating costs of available transportation options, including offerings from Car2Go, Zipcar then TravelCar. Free2Move will also be adding several bike sharing services over the next 60-days, including Ofo Bike, Lime Bike and Spin Bike. The service is positioned to help solve challenges from contemporary trends such as urbanization and digitalization. With Free2Move, consumers can schedule or immediately access the transportation of their choice for a period ranging from a few minutes to several days. The service has rapidly expanded throughout Europe and is currently available in 7 countries in France, Spain, Germany, the United Kingdom, Italy, Austria and Sweden, with 400,000 customers and some thirty operators. The launch in the U.S. represents the latest step in Groupe PSA’s “Push to Pass” global growth initiative, unveiled in April, 2016. The North American entity created in 2017 marks the Group’s return to the North American market in 3 stages. Initially aimed at personal services for Free2Move, it provides the creation and implementation of solutions for its B2C and B2B customers in favor of mobility: car-sharing, sales, maintenance and financing of vehicles. These initial services will serve as foundation for Groupe PSA’s expansion into a wider range of transportation solutions in North America, including vehicle offerings.